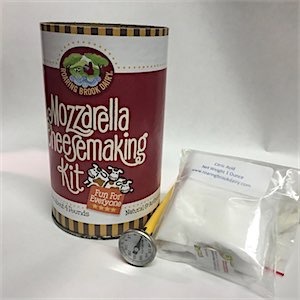 This kit includes: Everything you need to make fresh goat cheese including: instruction book, cheese mold, cheesecloth, citric acid, cheese salt, herbs, and vegetable rennet. Fun for all ages. 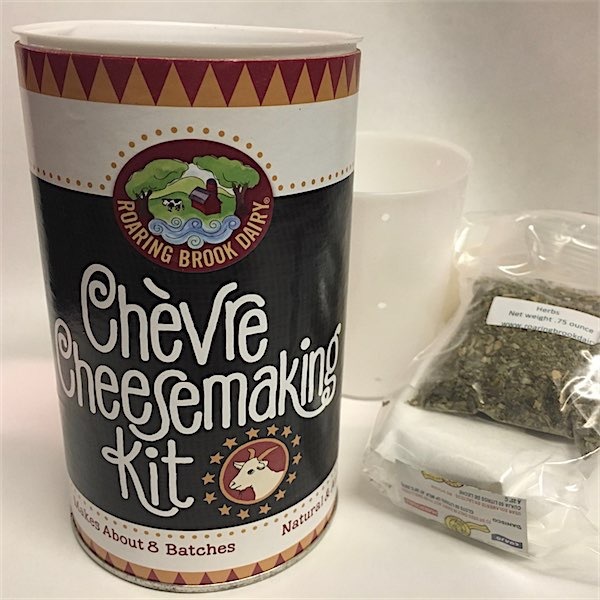 Makes about eight batches (with your goat milk) and is natural and authentic.